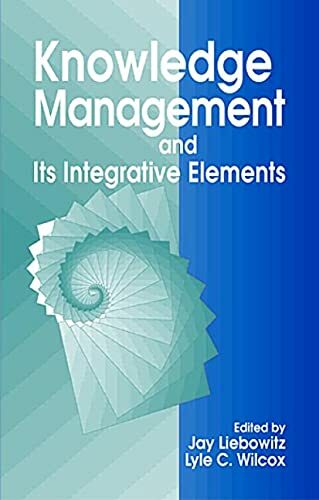 Kno Wledge Management And Its Integrative Elements: 9780849331169 Hardcover - LIMEROCK BOOKS INC. Many organizations fail to effectively manage and use the most important competitive edge they possess - their knowledge and "intellectual capital." This book covers the entire growing field of knowledge management, with particular emphasis on knowledge-based systems and their use in preserving knowledge in an organization, and integrating it across departments and disciplines. This hands-on guide shows how businesses and other organizations can re-engineer their processes using an applied knowledge-based approach. Each chapter introduces a different aspect of the field and demonstrates its application in actual case studies. Examples from industry, education, and government show the wide application of this exciting new field of study. The book also covers promising trends such as learning organizations, intelligent organizations, and enterprise management.